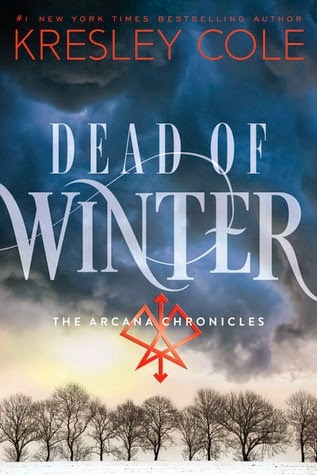 This week, my swoon is from Dead of Winter by Kresley Cole! Without warning, he lifted me against the wall, forcing me to wrap my legs around his waist, my arms around his neck. "What are you doing?" I inhaled sharply as desire flooded me. His addictive scent swept me up. "I need to be closer to you. Why can I never get close enough to you?" He glanced down. His chest had dampened my tank top, which was now see-through. His eyes flared bright, his voice roughening as he said, "You tempt me beyond measure." He pressed harder between my legs. When my head fell back, he nuzzled my neck, giving me only hints of kisses. Warm breaths feathered over my throat, making me shiver with need. Catch my review of Dead of Winter tomorrow! It's a hot swoon though! Love the swoon. So intense and definitely steamy. Thanks for sharing and introducing me to another good read. The series (overall) is good!